The best time to travel to Costa Rica is from late November through April. If you are looking for great weather, you are almost guaranteed sunny skies and rain-free days. However, this is also high tourism season, so plan on paying more for your hotel room. While you used to be able to identify the time of year based solely on weather patterns, climate change has thrown Costa Rica a bit of a curveball. Locals are finding that rainy season may not be as wet and dry season may have a few showers. Thus, plan your travel to this tropical country with an open mind. From May through August, expect clear skies in the morning and rain in the afternoon. During the green season, rain can sometimes come in bursts so intense that it paralyzes traffic and all outdoor activities. September and October are Costa Rica’s rainiest months, with rainfall lasting nearly all day. If you happen to book a trip during these months, not to worry: These are the most beautiful months along Costa Rica’s Caribbean coast. Plan to head to Cahuita, Puerto Viejo, or Tortuguero. Additionally, if you're hoping to visit the Arenal Volcano and La Fortuna, know that there is no ideal time, as there's a risk of rain year-round. If you are looking for views of the volcano, try your luck in the early morning, though the volcano entered an indeterminate resting phase in 2010, so catching a glimpse of spewing lava is not guaranteed. The country's dry season, from late November through April, is the most popular (and expensive) time to visit. 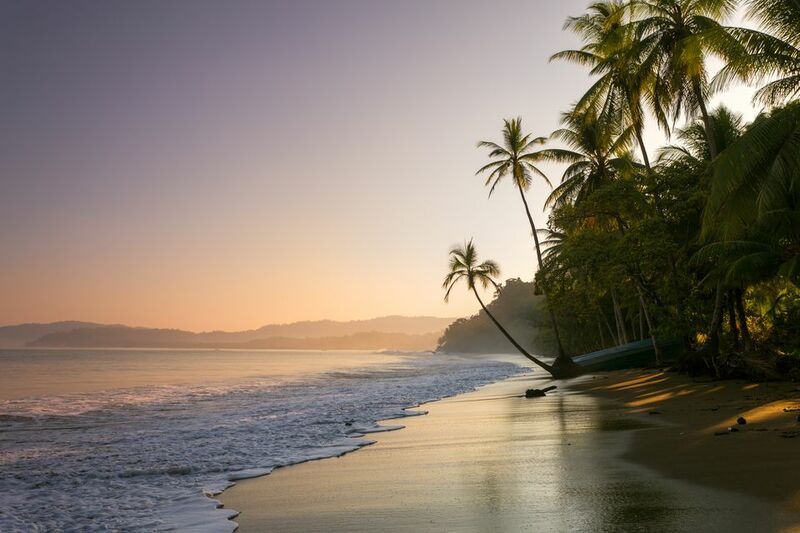 Since this season coincides with winter for much of the United States and North America, it makes Costa Rica a favorite destination of those seeking an escape from chilly temperatures. If your plans involve a beach or rain in the rainforest would bring down your adventures, it's worth booking your visit during the dry season. If saving money is the goal, consider visiting during the "green season," which runs from May through mid-November. Although wetter, many locals enjoy the rainy season: There are fewer tourists and rates for rooms, tours, and travel drop significantly. While rain is mostly limited to a few hours each day, some rainforest roads become impassable during this season. Spring in Costa Rica spans roughly March through May and straddles both the dry and rainy seasons in the country. March and April are the driest months, sometimes called "verano" (summer) by the locals, whereas May kicks of the green season. The week-long Easter holiday marks one of the country's largest celebrations. Buses stop running for the days, and many towns host their own religious parades. Book early if you're planning to travel during Holy Week. Juan Santamaria Day, also called National Hero’s Day, celebrated on April 11. This public holiday honors the Tico who defeated American invader William Walker at the 1856 battle of Rivas. Many schools host colorful parades on this day. The low season encompasses the months between May and September. While the rainforest is, well, rainy, it's not unusual to experience picture-perfect beach days along the coast, especially near Tamarindo, where the seasonal shift is less pronounced. If you are heading to the Caribbean coast, it’s best to keep flexible travel plans. That way, you can still head to another part of the country if the rain sounds too intense. On July 25 each year, Liberia celebrates the Annexation of Guanacaste Day. The occasion calls for Tico-style bullfights, colorful parades, folk dancing, and more. The Fiesta of the Virgin of Los Angeles takes place on August 2. This day is the annual pilgrimage day of the patron saint of Costa Rica. Many locals (and some tourists) make the trek 15 miles from San Jose to Cartago, where the basilica is located. If you're planning on visiting the Caribbean coast, September and October are the most beautiful months here. Typically, the early fall gets the least amount of rain in this part of the country. However, there is the risk of periodic hurricanes. The Central Valley and the Pacific Coast experience slightly different weather patterns: September through mid-November are the rainiest months of the year here, including Manuel Antonio, Tamarindo, Playa del Coco, the Osa Peninsula (which often gets so much rain that lodges shut down seasonally), and Mal Pais. Guanacaste may be somewhat drier than points further south, such as the Osa Peninsula. Limón Carnival is essentially a smaller version of Mardi Gras. Expect floats and dancers in the streets at this celebration of Columbus's discovery of Costa Rica. It's held during the second week of October. September 15 marks Costa Rica's Independence Day, celebrated throughout the country. At night, parades of school children march through the streets playing instruments. November through January is considered the Caribbean coast's rainy season, but the weather is still unpredictable: You may experience sun one day and rain the next. However, throughout the Central Valley (including San José), the climate is completely dry—even arid in some parts—and rain is quite rare. For surfers, swells are at their best during the winter. Fiestas de los Diablitos is a popular event held in December and February. It takes place in two indigenous communities, Boruca and Rey Curre, and includes colorful masks and a reenactment of a battle with Spanish conquistadors. The Envision Festival is typically held each year in late February, drawing an eclectic crowd of hippies and psychedelia fanatics for a four-day festival that includes yoga, food, music, and art.